These Pittsburgh-based Instagrammers capture the city’s cuisine, art, style, people, and views with stunning images. Follow along with Pittsburgh’s best Instagram photographers. 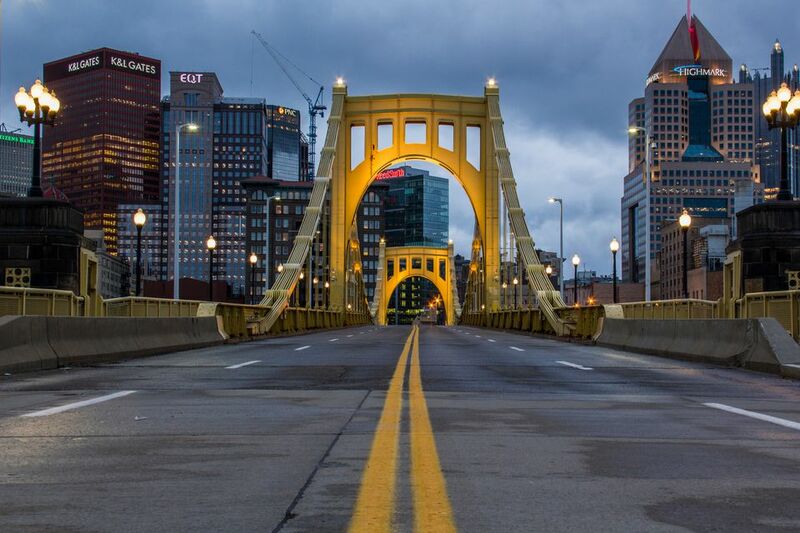 Skyline Superstar @davedicello: These skyline snaps are staggering. In the peaceful hours before sunrise and late at night, @davedicello is photographing the city, capturing foggy mornings, twinkling lights, and calm river waters in breathtaking images. Sartorial Supremacy @summerwind41490: This Pittsburgh-based blogger captures Pittsburgh’s glamour. Whether she’s showcasing an outfit idea for a night out or unveiling new fashion trends, there’s often a local backdrop. For lovers of pearls, champagne, preppy plaid, and elegant fashion, @summerwind41490’s account will quickly become a favorite. Drool-Inducing @eatpgh: This account is guaranteed to make you hungry. The women of @eatpgh know all the best places to eat in Pittsburgh, and thankfully they share that coveted information with all of us. Foodie Favorite @adammilliron: Expect to see photos of carefully crafted cocktails and perfectly plated meals from expert food-and-beverage photographer @adammilliron. The account also provides a fun look behind the scenes of what it’s like to style and photograph the most universally adored still life object -- good food. Style Guru @keeppittsburghdope: The streetstyle portraits on @keeppittsburghdope are equal parts fashion inspiration and city diary. Beautiful close-up portraits capture expressions as well as outfit selections. Downtown landmarks, like bridges, murals, and iconic buildings, often serve as scenery. City Life @stripdistrict412, of @steelcitygrammers: @stripdistrict412’s account is a slice of life with a mix of portraits, gritty places, still life, and skylines. Some photographs capture the movement and hustle-bustle of people and cars, while others portray the city with calmness and serenity. The Artist @baronbatch: Formerly a National Football League player, he’s now The Artist. Pittsburgh-based @baronbatch chronicles his bright pop art and his thoughts on Instagram. He refers to his work as POP-X, a mix of pop art and expressionism. Swoon-Worthy Moments @HotMetalStudio: With a gift for capturing romantic moments, @HotMetalStudio has chronicled the wedding of many a Pittsburgh couple. Follow along for swoon-worthy wedding details, captivating portrait photography, and beautiful moments from everyday life. Local Flair @yajagoff: For a true taste of local culture, @yajagoff is the account to follow. Newcomers to the city can learn some local vocabulary, and everybody can expect some good laughs. Community-Sourced Art @412project: The @412project showcases the work of local Instagram photographers, both on its Instagram account and in a pop-up gallery downtown. The new initiative, launched in fall 2015, was the brainchild of Wendy Lachendro, who goes by the name @PittsburghInPictures on Instagram. Landscape Leader @pittindiefreak, of @steelcitygrammers: Fair warning: If you’ve moved away from Pittsburgh, @pittindiefreak’s account might just make you feel homesick with its mix of skyline snaps, rural vistas, and fresh takes on iconic cultural buildings. This account adeptly features both the city-life and the country-life that make Pittsburgh so special. In this Q-and-A, the photographer took a few minutes away from the camera to talk about Instagram, Steel City Grammers, and photography.